Weir and Sons are delighted to announce the addition of a new brand to our Fashion Room! Astrid & Miyu was founded in 2011 by Connie Nam and Jenny Orlova. As two women from a financial background, they found themselves wearing a lot of black suits and wanted more expressive jewellery which wouldn’t break the bank account. When they couldn’t find the type of jewellery on their mind in stores they decided to do something about it, thus Astrid & Miyu was born. The Names Astrid & Miyu are two names from Sweden and Japan which both mean exceptionally beautiful. Astrid & Miyu has been known to partner up with fashion designers from art schools such as St Martins in London which led them to produce new, edgy and relevant earring designs. 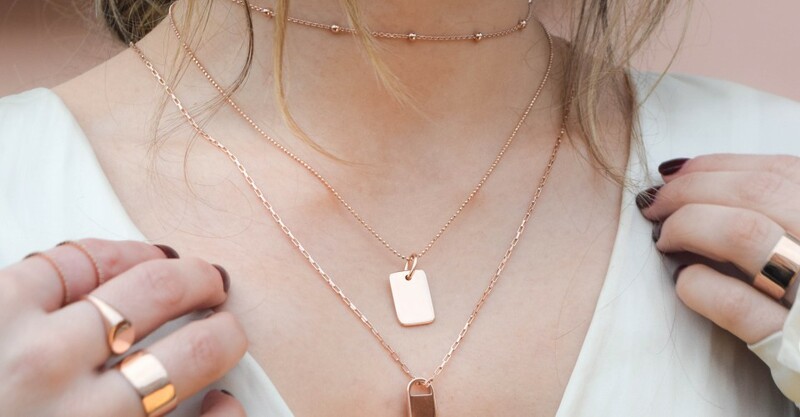 Their jewellery is elegant and understated with a simple beauty that can be appreciated by all, it’s no wonder the gorgeous brand has quickly built a cult status in the fashion world. Their collection of dainty yet striking pieces have been worn by top models, it-girls and influencers everywhere across London, from Shoreditch to Chelsea, and now it’s taking Dublin by storm at the Weir & Sons Pop-up shop. While the majority of the collection is small and simple, they also have statement pieces such as these Venus earrings below which are gorgeous for both day and night. 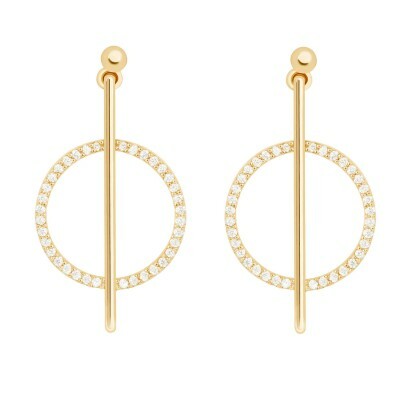 The collection of Huggies by Astrid & Miyu are chic and a must-have for any girl who loves to show off her piercings. The Mystic Jewelled huggies pictured below are sterling silver with 14k yellow gold plating and set opal stone detail. They are available in sterling silver and rose gold plate too, and can be mixed and matched – perfect for someone with multiple piercings. Their range of earrings and necklaces are designed specifically to enable a way that they can all be layered to show off unique styles and aspects of your fashion style. Depending on the pieces you choose to layer together you can create different looks. It is a brand where layering is encouraged. Below is one of the chokers that is available in-store and online. Chokers are still one of the big trends this year and with a brand such as Astrid & Miyu creating such a lovely take on a classic we can see why. For those of us who don’t necessarily want to commit to getting their ear cartilage pierced, Astrid and Miyu have a wonderful collection of non-pierced cuffs. 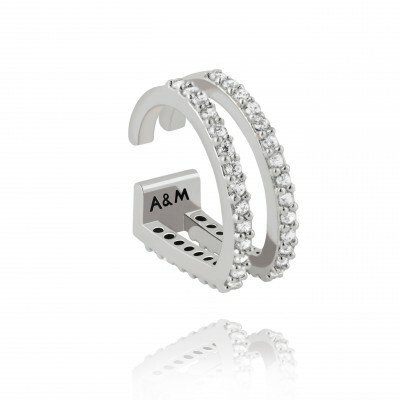 These cuffs are also designed to be layered and slide on easily to the ear, like this wishbone cuff below. A mix and match of cuffs can be placed on the ear around the conch piercing area to give a unique and comfortable stacked look. Inspired by British elegance and the renowned understated London glamour, the delicate pieces use white crystals to create a signature elegant and minimal look. 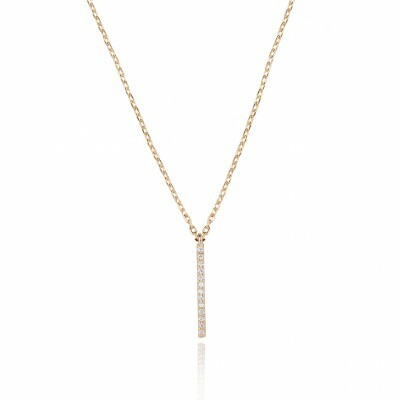 Available in silver, gold and rose gold, there is a style to suit everyone’s taste. 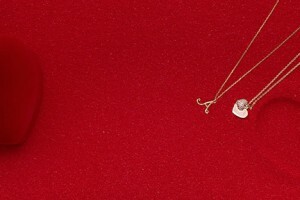 Their whole necklace collection can be stacked on the same basis as their ear cuffs. 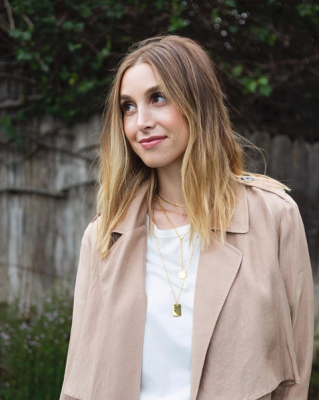 Astrid and Miyu have gained a cult following, with big influencers seen wearing their pieces such as Whitney Port below. With dainty and striking pieces they have managed to attract the attention of many high profile people such as Georgia May Jagger and Pippa Middleton. A gorgeous brand with the vision to make contemporary designed jewellery accessible to everyone. We are Delighted to welcome Astrid & Miyu to our Fashion room and can’t wait for you all to check out the jewellery they have on offer. Available from the lower ground floor in our Grafton Street shop.